My nerves were frayed. I was trying to help my daughter with a school project, but she was in one of her adolescent moods. know that mood well. I was a master of it myself more than thirty years ago. Because of that, I should have been more understanding. Instead, I was simply frustrated. My daughter said she wanted my help but then made snotty remarks when I made suggestions. I couldn’t take it and told her that I wouldn’t help her if she was going to be rude. She stormed off in one direction, and I went in another. Later, after we had both calmed down, we started working on the project again. We hadn’t done much when she told me she needed to take a break to make something. I sighed. I knew this was just another procrastination tactic. I also knew that she, not I, was responsible for completing the project. 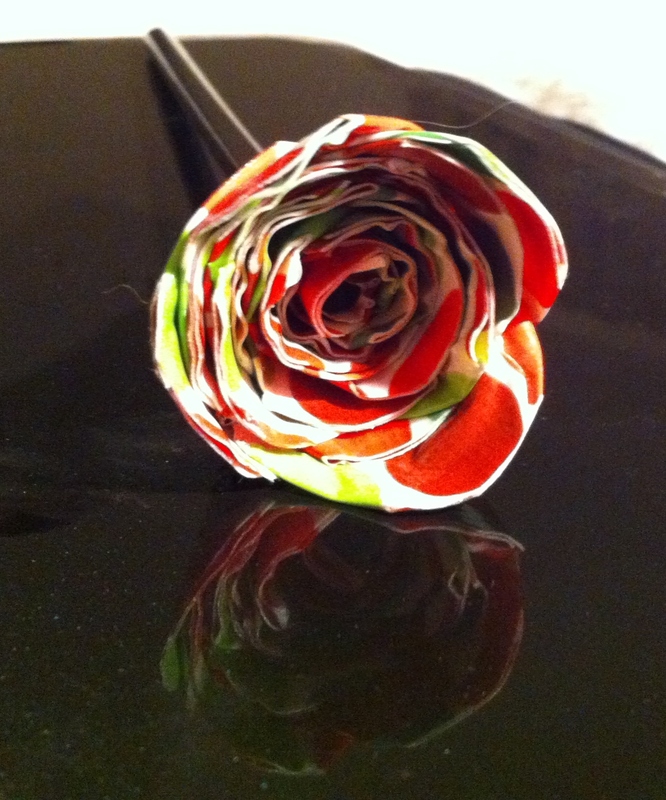 She returned a few minutes later with a rose she had made from duct tape. She handed it to me then returned to work on the project. I held the rose and smiled. Posted on January 19, 2014, in Family, My life, perspective and tagged 365 reasons to smile, children, Family, parenting, singing, smiles, Thoughts. Bookmark the permalink. 22 Comments. This is surely something to smile about. Your daughter is already becoming a wonderful woman and there is no wonder where she gets it.